Going camping this coming summer? 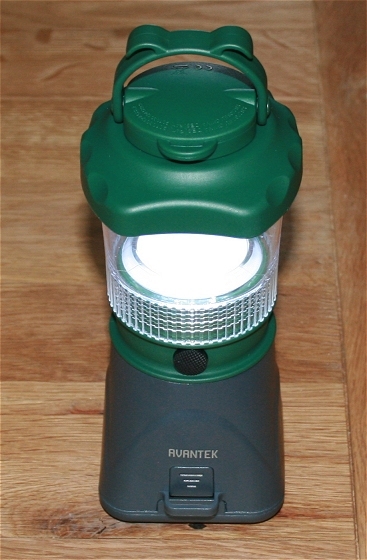 Then don’t forget you will need a few camping lanterns for the tent at night. 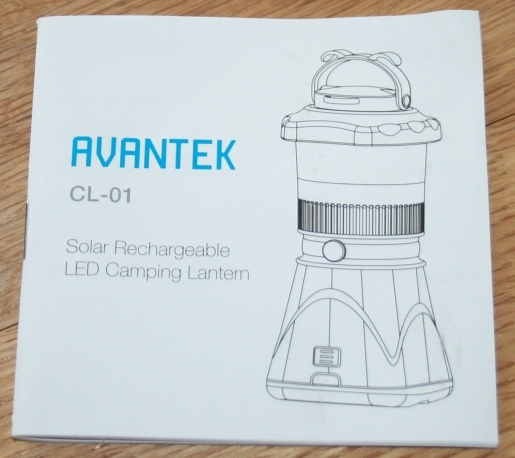 I have been given the Solar Powered / rechargeable camping lantern styled lamp for review by Avantek which uses LED lights to illuminate an in-built reflective material which then gives off a soft light instead of the sharp direct light you get by directly exposing your eyes to LED’s. I think that’s a great idea. The lantern itself is very light in weight, but don’t let that fool you, it is solid in feel and the plastic used to make it feels tough and very very slightly flexible rather than brittle if you get my meaning. It has a hook on the top so that you can hang it up in the dark at night in the tent and also (obviously) can stand up on its own for use on a table or the ground. The solar panels are tucked away in the base of the unit, there are two. The base unfolds to reveal the electrical panels and the whole lamp can be turned upside down and left standing like that to catch the suns rays. One of the photoelectric panels can be angled so this allows it to be pointed directly towards the sun, whilst the other remains vertically aligned (unless you lean the lamp on something at an angle whilst charging it up). I pleasant feature is that there are two brightness settings. Either of these settings is useful for a different situation. If you require a fairly dim light then this is the brightness which comes on at first. Pressing the power on button again with a click causes the lights to brighten more – perhaps suitable for providing light over a wider area whereas the initial setting could be useful for reading as it is also a softer light. Using the settings wisely will enable the light to remain charged for a longer period (in other words use the dimmer light when you can for maximum duration). The battery is 1400mAh which is large – large enough to power the lamp for around 6 hours on the bright light and 10 hours on the dimmer setting. Actual charge time is roughly 10 hours – and this would obviously depend on how low the battery had been allowed to drop to. Interestingly, there is a DC adaptor port on the underside aswell, although it does not come packaged with an adaptor. The Avantek manual states there is a USB port aswell, although I couldn’t find it. Notice that the CD adaptor port is actually inside the base of the lamp, so if you can find the correct power supply, then you can use it to help re-charge the battery, but as access to the port is only available when the base is completely disconnected from the bulb area, you will not be able to power the lamp itself from the mains supply. 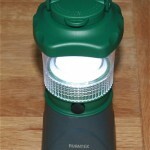 Lightweight so ideal for camping trips / weekends away. Small – actually a lovely size – not clumpy or bulky in any way. Cheap – very low price. Green – will probably match some of your other camping gear! Cannot be powered by mains. I was given this to take a look at an publish my findings – but in truth I think I will order a couple more when I get round to going camping again – hopefully in the summer as it really is a good bargain and fits in well with the camping equipment I already have. I had some old lamps but they weren’t as good as this and they cost twice as much!